A good intruder alarm is key to protecting your property. 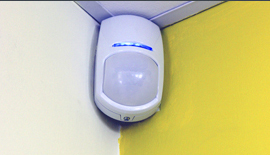 We can install the right intruder alarm systems to suit all your security needs. 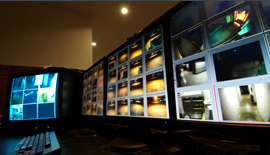 We’ll use our expertise and knowledge of the latest technologies to design the right CCTV system to fit your needs. Modern access control systems provide the most flexible way of ensuring the right people have access to the right areas of your buildings. provide evidence to police in the event of a break-in. Modern access control systems are the most flexible way of ensuring the right people have access to the right areas of your buildings − protecting assets, information and staff. Easy to control via a cloud-based app they’re also simple to integrate with CCTV and intruder and fire alarms. 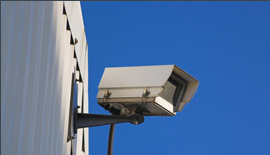 An intruder alarm is the best way to protect your commercial premises or an expensive property. We can install bell-only, speech dialler and fully monitored intruder alarm systems with dual-path signalling to alert the police and keep your premises safe. Arming and alerts can also be made simple with a cloud-based app. Theft and vandalism can spell disaster for your business. Yet, in some situations, security needs to be discreet in order to make customers feel welcome. We understand the differing and complex needs of business owners. We give you tailored recommendations for a bespoke system – which means you only pay for what you need. Some things are irreplaceable, but too many people wait until the worst happens before they upgrade their home security. Even the highest quality locks can only go so far to making your property secure. Protect your valuables and loved ones with an integrated CCTV, intruder and fire alarm security system that also acts as a visible deterrent. Minimise risks to children and young people, sensitive school data and irreplaceable and/or expensive equipment. Deter opportunist intruders and vandals with CCTV and instant lockdowns. Unlock doors and provide emergency lighting and automatic alerts to the emergency services in the event of fire. For older people or those with physical or mobility impairments timed access control allows care workers to call while keeping unauthorised people out. Pin-code and card or easy-to-use key fob systems allow residents to come and go as they please. Scheme managers can manage master keys, check on residents via password protected ‘live’ CCTV and unlock all doors in case of fire. 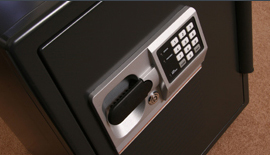 Five Star Security is a member of the Master Locksmith Association (MLA), SSAIB-accredited and fully insured. Our professional, friendly engineers make recommendations individually tailored to you. Are you responsible for children or vulnerable people?